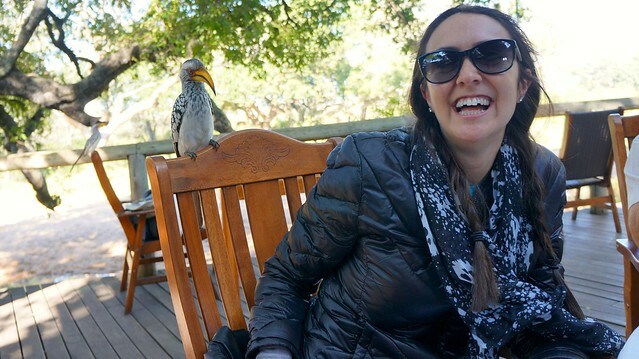 As you may know, I am recently back from a South African vacation where I visited Cape Town, the Cape Winelands, a few beach towns and probably my favorite part–a wonderful safari in Kruger Park. You may have seen my recent post about my Top Ten Things not to Miss in South Africa, definitely worth a read if you’re considering a trip here. 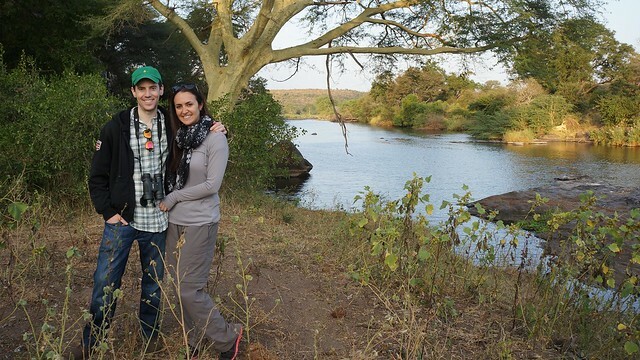 Planning an African safari was quite a complex task–there are so many things to do! From choosing hotels, figuring out airfare, finding the best restaurants, etc. The hardest part for me, though was figuring out what needed to be done before we left and figuring out what I needed to pack for the safari part of the trip. I was so surprised by how little information there was about what to pack for a trip like this. There are so many things to consider: passport requirements, medication, clothing, toiletries, etc. Because let’s face it, Africa’s bush is pretty removed from the modern world–you can’t just stop by a 24-hour pharmacy. A trip like this takes plenty of planning. 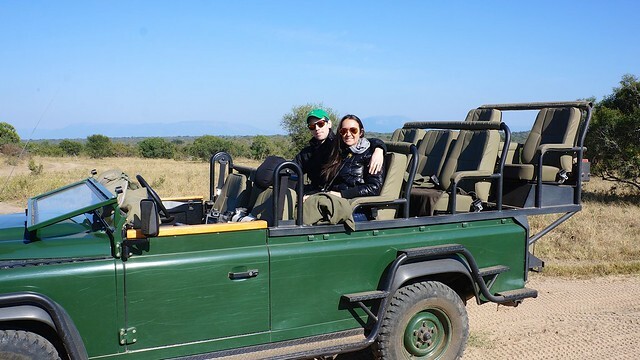 I gathered helpful tips for what to pack before you head off on your safari. It doesn’t include absolutely everything of course, but I did include a bunch of helpful things that I think are important to know. 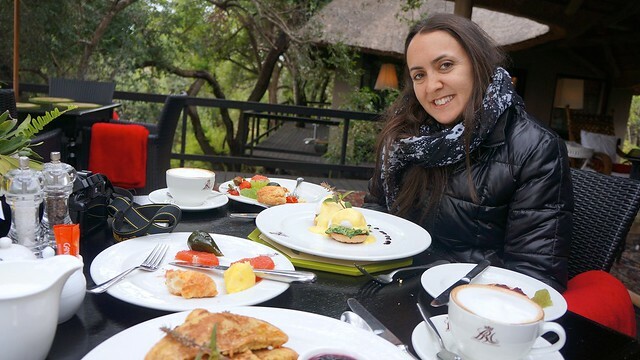 I think these will ensure you have everything you need and start you off on a perfect safari! Play Doctor: There are several things to consider before you even think about packing. First, Malaria is a real risk in South Africa, so prophylaxis is typically recommended. Be sure and see a qualified healthcare professional and check the CDC Website to ensure you have all the proper vaccinations before you leave. Also, when I go to any foreign country I come armed with my own medicine cabinet: antibiotics, advil, antibiotic ointment, band-aids, etc. Because you just never know! Document Control: Next, you’ll want to ensure that your travel documents are valid. Travelers entering South Africa must have passports that do not expire for at least six months after your return travel date. Your passport must also have a minimum of two blank pages that face each other. Insure a Good Time: It’s also a good idea to purchase trip insurance that includes protection for emergency evacuation coverage, trip cancellation, medical expenses, luggage issues and other personal losses like money, clothing and electronics. To ensure that you see all the animals for which you traveled so far for, like the Big Five, book a stay for at least 5-6 nights in the bush. However, if your time is limited and you just want a taste, then three nights should give you a good sampling of local game, though you may not see everything you want. I would spend 2-3 nights at 2-3 hotels since different animals like different areas–this will maximize what you see! Johannesburg’s OR Tambo International Airport (JNB) and Cape Town International (CPT) are the major airports in South Africa. South African Airways offers nonstop service to JNB from both New York’s John F. Kennedy International Airport (JFK) and Washington Dulles International Airport (IAB). To reach Kruger National Park or its private game reserves, there are direct flights to Hoedspruit (HDS) from both Cape Town and Johannesburg. Several of the upscale lodges offer private charter flights to private airstrips at the hotels themselves–but of course, these will cost you. Safari lodges are extremely remote and as far-removed as you can get from the modern world, so you’ll need to pack everything you may need for your trip. While hotels do stock certain items travelers may forget, it’s recommended that you bring all the essentials you may need, like over-the-counter drugs, prescription medicines and contact lenses. Yours, Mine & Ours: I always recommend splitting two suitcases when traveling internationally on a big trip like this. This way, if they lose one of your bags at least you have half of your stuff. It’s my personal way of hedging my bet. My husband and I then separate our stuff to our own suitcases but you’ll be grateful if one of your bags go missing. Layer it Up: When choosing what clothing to bring it’s important to note that the seasons may be different than where you’re from. During South Africa’s winter season, daytime temperatures in the bush range between 60-80 degrees Fahrenheit but can soar much higher in the summer months–especially in October and November when temperatures can reach 90-100 degrees Fahrenheit. In the winter, early morning and nighttime temperatures can dip below freezing, though, so be sure to dress in layers, including sweaters, hats, gloves and a warm jacket. Prepare to peel off layers as the day progresses because daytime temperatures are dramatically warmer. Also, most of your dinners are outside so pack accordingly. You can see in the next photos, one minute I was cold and in a winter jacket, the next I was contemplating a swim. In the Bag: Even the top lodges are extremely casual, so don’t worry about dressing to impress—it’s all about comfort. Plus, many of the upscale lodges include same-day laundry service in the price of your stay so you can launder and repeat outfits, which reduces the amount of clothing you need to bring. This is extremely useful because most charter flights up to Hoedspruit have strict baggage weight limits of about 44 pounds per person. Accessorize: Comfortable shoes and a good camera with a decent zoom are safari staples. And if you have a pair of binoculars, bring those along, too, though many lodges can provide these for their guests. This wasn’t even my biggest zoom! Sunshine of my Life: The sun in the southern hemisphere is also extremely strong, so be sure to pack plenty of sunscreen. And of course sunglasses. Sticky Situation: You’ll also want to pack mosquito repellent. Though many of the lodges stock it for guests, you don’t want to ever find yourself without it (especially during summer).To avoid the sticky and unhealthy side-effects of spraying bug spray directly on your skin, you can purchase clothing that has been pretreated with mosquito repellent. Three brands that are extremely effective are Insect Shield, Ex-Officio and Haeleum. It really worked and it was super cute, too! I have to admit, I was skeptical haha. Power Couple: South Africa’s electrical system is 220/230 volts A/C 50 cycles. Most electronics these days only require the use of an adapter, not converters as well, but some items like hair dryers or irons still may require both. Most lodges stock hair dryers and adapters for guests, but to be safe we recommend bringing your own adapter and converter. Outlets in South Africa require a three-pronged adapter plug for 3 round prongs. It’s Electric: Don’t forget to bring extra batteries, memory cards or anything else that you may need to capture your precious memories. Fuhgettaboutit: Luxury lodges have everything like linens and towels covered–trust us you won’t be roughing it–think 500 thread0count! No Need to Dress Up for the Lions! 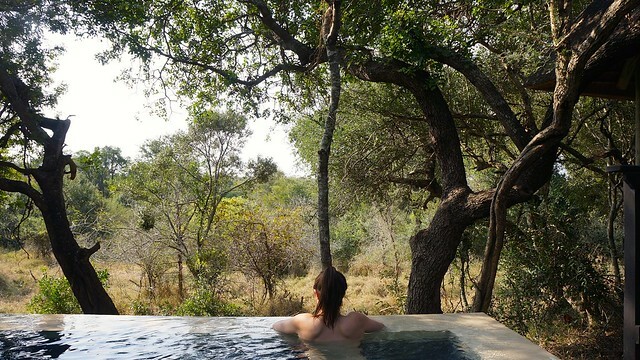 I’ve already extensively covered my experience at three of the top lodges in South Africa so be sure to check out my reviews of Royal Malewane, Singita Lebombo and Tintswalo Lodge. What am I missing? Is there anything you think is a packing must for a safari trip? Let me know in the comments! And if you found this post helpful please take a second to share the love–it’s what keeps us going! Tweet Us, Circle Us, Like Us or Share just by clicking the links on the left or at the bottom of this post. S’il vous plait? Merci beaucoup, dahhhlings! And just a heads up this article is all my personal opinions, obviously check with your doctor about medicines, etc. So happy! Please share the love. A tweet or a like go a long way! Good advice indeed! I shall revisit pre my return to SA next year! Great guide, another very important thing not to forget is a travel insurance. I once went to west Africa and got my cover from http://www.flyingdoctorsafrica.org , they have the best rates. A travel cover is to take care of the uncertainties that may befall on your trip. Going on safari was one of the best experiences of my life. We had the opportunity to see wildlife in their most natural surroundings, and that sort of experience can’t be underestimated. We used: Gorilla Safari Company which gave us all the options we wanted to add and most importantly gave us the freedom to drop those we didn’t. Thanks for sharing I’m sure my readers will find that helpful! Hope youll stop by again soon! Thanks for taking the time to let me know. I hope youll be back again soon! What’s up, its good article thanks for sharing. Apart from a 4×4 game drive, site visitors can choose for an unforgettable horseback safari.